This was the weirdest book I have read in quite some time. Plus it was really long so it was kind of like a Stephen King book for the YA genre? I don't know how else to explain it. There was something going on constantly, some really freaky stuff happens and there is a lot of death. Really... like, apocalyptic things happen. The book is based in England and mostly centers around a group of kids who, much to their surprise, have to run for their lives because everyone they come in contact with tries to kill them. I spent most of the book trying to figure out what was going on. Because of the length of the ARC (the published book is 688 pages) I found it difficult to read sometimes. But like I said before so much happens that you want to pick it back up again to find out how it ends. It's the first time I read anything by Alexander Gordon Smith but I think I might check out some of his other stuff. 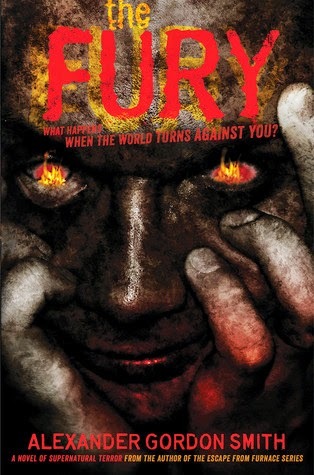 I've heard a little bit about his Furnace series so that might be going on my "to read" list.